A series of legislation and proposed legislation in Western states has advocates of wolf conservation concerned for the future of the animal as well as the country's respect for Native American rights, according to an advocate who spoke to ABC News. "Wolves are our sacred animals," said Roger Dobson, founder of the non-profit religious organization Protect the Wolves, and a member of Washington state's Cowlitz Tribe. "Our creators put wolves on the planet to perform a sacred task. [These laws] encourage people to treat them like vermin." The laws and proposed laws to which Dobson is referring include a ruling by a federal appeals court last Friday that wolves in Wyoming should be stripped of Endangered Species Act federal protections. The U.S. Fish and Wildlife Service says gray wolves now number around 5,500, including about 400 in Wyoming. Officials in Wyoming determined in 2012 that gray wolves were no longer a threatened species. Gray wolves were once hunted to the brink of extinction in the lower 48 states, but they recovered under Endangered Species Act protections and reintroduction programs, according to The Associated Press. 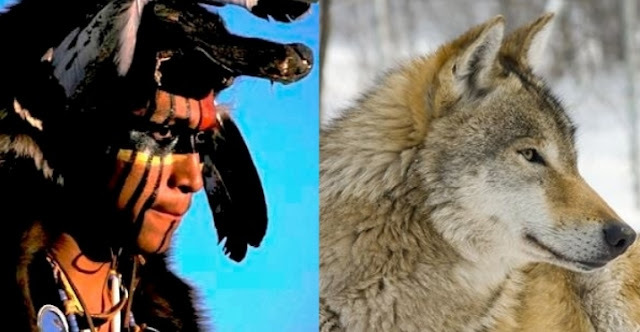 Responses to "Tribes Stand Up Against "War On Wolves Act" Congress Bill"
I am in total agreement with the tribes! We should be learning from the wolves,not destroying them. In my mind, the wisdom of the people who have been watching and living with wolves for generations would be the experts whose advice we should be acting upon. The United Tribes of Michigan have my full support to rightfully stand against any legislation that puts wolves in danger. Observation of the wolves behavior as packs could teach us a lot about community, family and loyalty. A series of legislation and proposed legislation in Western states has advocates of wolf conservation concerned for the future of the animal as well as the country’s respect for Native American rights, according to an advocate who spoke to ABC News. U.S. District Judge Amy Berman Jackson sided with environmental groups in 2014, ruling that a promise made by Wyoming to maintain a population above the minimum 100 wolves, including 10 breeding pairs, outside of Yellowstone National Park and the Wind River Indian Reservation was unenforceable, which led to the appeal.